Nobukazu Kuriki has changed Everest sides. 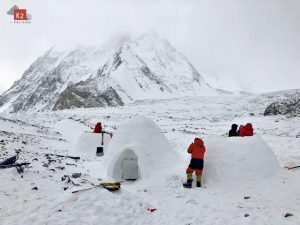 The 34-year-old Japanese today reported on Facebook from Gorak Shep, the 5207-meter-high last inhabited settlement below Everest on the Nepalese south side. 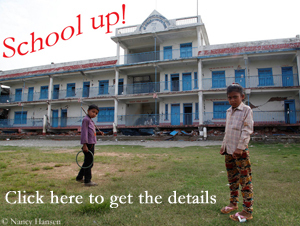 Apparently, Kuriki has managed the necessary formalities with the Nepali authorities. Previously, Nobukazu had pitched his tent on the Tibetan north side: on the Central Rongbuk Glacier below Everest North Face. 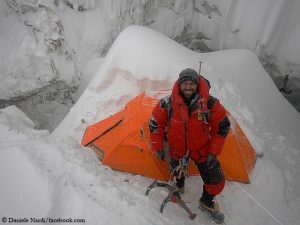 The reason for his change of location, says Kuriki, was that he had changed his previous plan for the ascent. 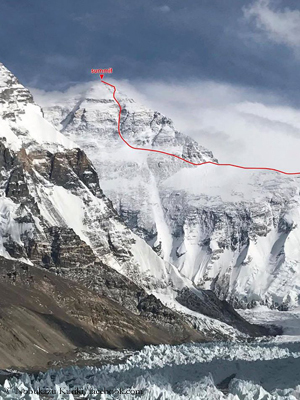 Originally, the Japanese had wanted to climb the North Face, solo and without bottled oxygen, via the so-called “Supercouloir Route”, a system of gullies that stretches almost through the entire wall. In the lower part of the wall, however, there is currently a lot of blue ice, writes Kuriki on Facebook. 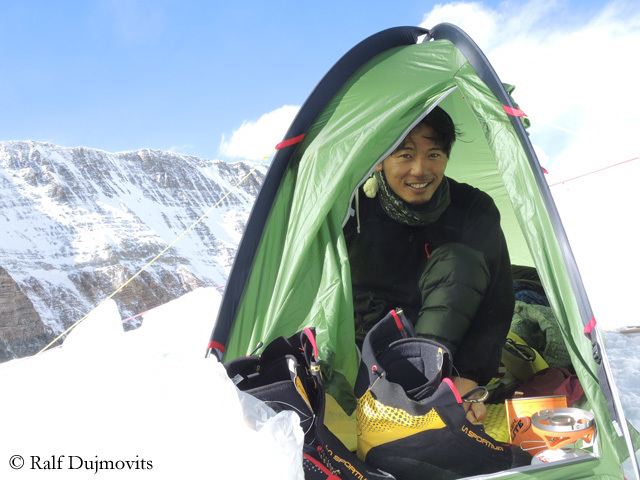 Because he lost nine of his ten fingers due to frostbite in his Everest attempt in fall 2012, it is too dangerous for him to climb there, says Nobukazu. That’s why he now wants to ascend from the south side to the West Ridge, from there crossing into the North Face and climbing via the Hornbein Couloir to the summit. “Actually, this route is the one I tried in fall 2012,” writes Kuriki. 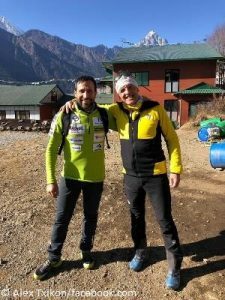 “I feel like I’m still there at that time.” He plans to leave Gorak Shep on Friday, hoping to reach the summit on 23 May, next Tuesday. Then, according to the weather forecast, the wind from the west will have calmed down, says Kuriki. It is his already seventh attempt on Everest. 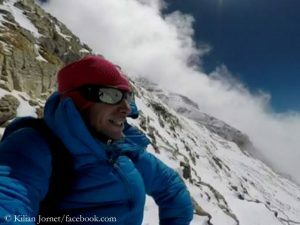 Six times he had tried in vain to reach the summit, five times from the Nepali, once – last year – from the Tibetan side.